I quit Pokemon, years ago. I played Red and Blue like everyone else, but quit before the Second Generation (Gold, Silver, Crystal). I quit because I felt like it was too childish, and as a burgeoning teenager, I had social aspirations to shoot for. Later, I got Leaf Green during Third Generation (Ruby, Sapphire, Emerald, Fire Red, Leaf Green) and transferred the Pokemon forward into Pokemon Pearl in Fourth Generation (Diamond, Pearl, Platinum). I even got Pokemon Colosseum, Pokemon XD, and Pokemon Ranch to get even more Pokemon. I had a desire to catch them all. Then I discovered what EV training was. A completely maniacal, unfun way to develop super-strong Pokemon. As a competitive-minded gamer, I had two choices: Join them, or quit the game. I quit, selling my copy of Pokemon, and deleting all trace of my old compatriots when I wiped Pokemon Ranch off of my Wii’s storage. I saw all of fifth generation come and go (Black, White, Black 2, White 2, Heart Gold, Soul Silver) and didn’t feel the pangs of regret. It didn’t help that all of these were DS titles when I felt like playing 3DS games. I don’t know exactly what got me to get Pokemon Y. Maybe it was because I could buy it digitally, that I didn’t have to go to the store, and thus the decision-making process was greatly shortened. As impulsive as I am, I went and bought it. Months later, I can say I made the right decision. Everything I didn’t like about Pokemon is gone. EV training doesn’t require advanced algebra. It’s part of the game, and completely exposed to the user. Instead of looking for the right monsters to kill at the right times and closely managing a spreadsheet, EV training is built into the game. 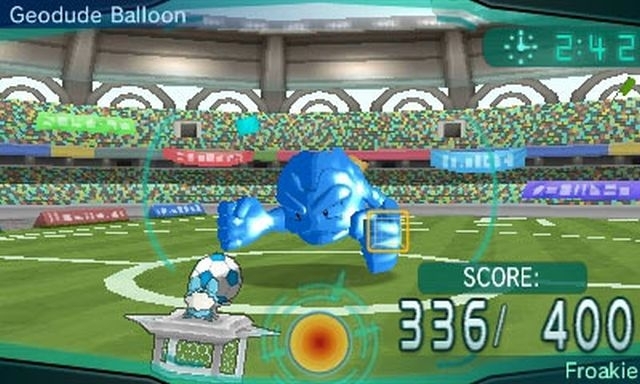 You select punching bags for your Pokemon to train on, and you complete minigames to build your stats. No more labyrinthine rules. It’s also interesting to see that Pokemon X/Y is Nintendo’s most online connected game ever. I never thought I would see this level of connectivity from Nintendo, but you can literally trade or battle anyone online. The global trade station is still around, but there are so many other trade options. 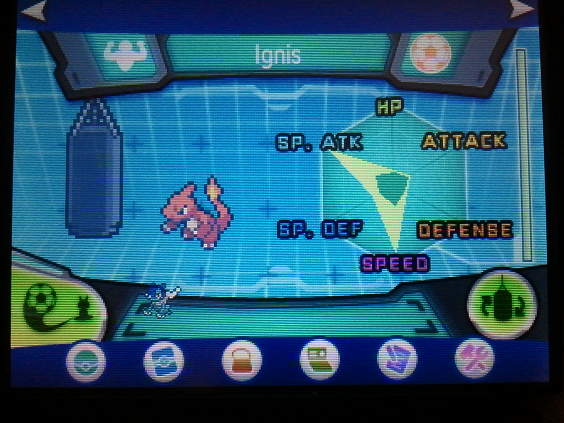 I’ve been addicted to Wonder Trade, which has you send a Pokemon out, and get a random Pokemon in return. More recently, Nintendo put out Patch 1,2, which actually breaks a number of WiFi listening exploits. Nintendo has never been known to update games like this, but if they keep this up, it will go a long way in showing their commitment to games in a modern setting, where security and competition have to be taken seriously. One of the reasons I quit Pokemon was because it felt antiquated. How funny that it is now Nintendo’s most technologically forward-thinking game. I’m done coming back to and then quitting Pokemon; this time I am here for good. Nice, same here, I stop when Pokemon Ruby/Sapphire came, due to focusing more on the PS2 than GameCube in 2001, but when there were deals on Nintendo GBA. I decided to go back to Nintendo and one of them was Pokemon R/S, and once again got hooked on Pokemon, even now I still play Pokemon X/Y. I guess I just love the series. HG and SS are Gen 4, btw. I quit myself after those but started again recently because my kids play and its good to share interests. I worry more about coming up with creative names than EV training though. The mandate is to catch them all – not enter tourneys. I’m a competitive gamer by nature, and there’s actually a crossover between Street Fighter players and Pokemon players. I agree with you, though, the creators of Pokemon are about harmony and friendship. And I swear I’ll catch them all. The reason I quit is because Pokemon, like other games out there; just repetitively release every year or so. EV training never required “advanced algebra”, it’s addition and multiplication. “Grind Zubats while holding a power anklet” isn’t a difficult concept. Wait utill you learn about IVs.